A leading member the Chinese Communist Party’s top advisory body took to the airwaves of a dissident TV station to describe the regime’s former security chief as “an evil person,” while calling for the exposure of mass murder through organ harvesting. Ge Jianxiong, a member of the standing committee of the Chinese People’s Political Consultative Conference, gave the interview with New Tang Dynasty Television on April 10. His remarks come as international pressure continues to build outside China for a proper accounting of organ harvesting in the country, where tens of thousands of prisoners of conscience—primarily practitioners of the spiritual discipline Falun Gong—are suspected to have been killed for their organs. Whether such practices persist is unclear, but over the last few months Huang Jiefu, China’s top transplant official, has vowed that the regime is turning a new leaf and will never again use death row prisoners for their organs, revising a stance expressed just months previously that still allowed for prisoner organs to be used, as long as they had given consent. The authorities have remained mute on the substantive question of whether Falun Gong organs were or are used. Ge is one of 299 members of the CPPCC’s standing committee, and is a professor of history and geography at Fudan University. At official Party meetings he is known as something of a firebrand, to the extent that such is possible in China, cutting off other officials when they ramble and regularly asking pointed questions about social issues. New Tang Dynasty Television, a media partner of Epoch Times, is known for its robust reporting on human rights abuses in China. In a recent interview with the station, Ge called for Huang Jiefu to speak in detail about the allegations against Zhou Yongkang, the Communist Party’s former security chief, being involved in the harvesting of organs from prisoners. 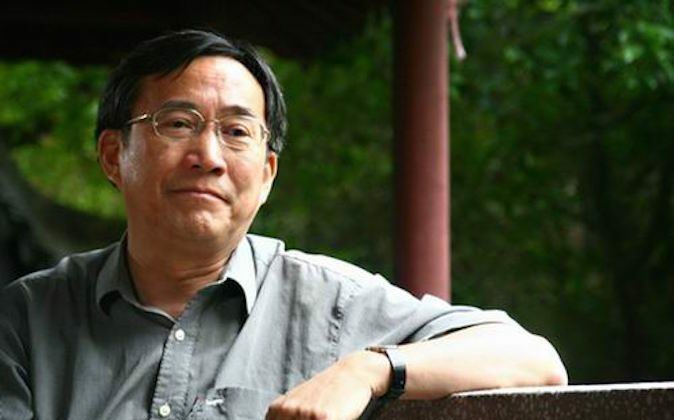 Zhou is the highest-level victim of Xi Jinping’s political purge, and he has recently been accused of anti-Party activities and factionalism in semi-official media channels. Zhou’s promotion into Party Central was in large part due to his ironfisted implementation of the persecution of Falun Gong, the pet policy of his political master, former Party leader Jiang Zemin. 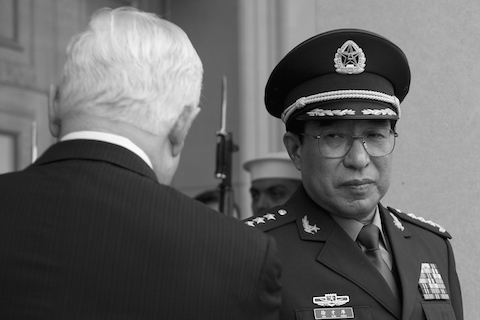 Zhou was recently handed over from Party investigators to the judiciary, and was indicted for bribery, abuse of power, and leaking state secrets. Huang Jiefu was formerly China’s deputy minister of health and is now the head of the Organ Transplantation Committee, which formulates policy on organ transplant issues. He is also the de facto official spokesman for China’s transplant policies to both Chinese and international audiences. In an interview with the Hong Kong-based Phoenix Television, Huang said that there was a “big tiger”—meaning a powerful official—who had been obstructing reforms. It is highly unusual for sitting officials to publicly name and blame the policies of other (in this case former) Party members, and Huang’s remarks attracted wide discussion on the Chinese Internet. But there was nothing in the recent prosecutor’s indictment of Zhou Yongkang that touched on this. “If Zhou is indeed the person in charge, and if he has actually committed those crimes, his indictment should address these issues,” Ge Jianxiong said in the interview with New Tang Dynasty Television. He then encouraged Huang to provide information to the Procuratorate, China’s prosecutors, about the matter. Ge is known to be audacious, and he appeared to speak of his own accord after being contacted by a New Tang Dynasty Television reporter. But the frankness of his remarks about Zhou are among a series of new statements that have emerged through official and semi-official channels about the abuses of organ transplantation in China recently. 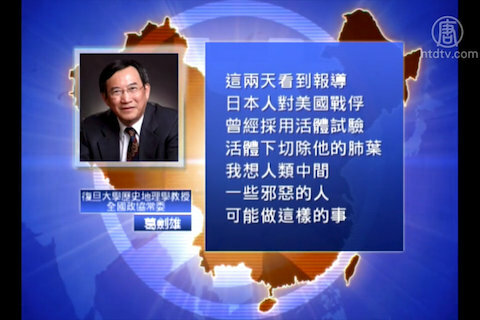 Before Huang Jiefu’s accusations against Zhou Yongkang, a respected former military surgeon, Jiang Yanyong, gave an extensive interview with a Hong Kong television station discussing the role of military hospitals in the organ harvesting industry. He described the development of live harvesting—removing organs from victims before they’re fully dead—in an effort to get higher quality organs. 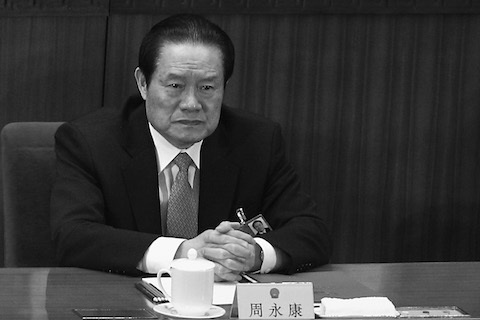 All these abuses he attributed to another target of Xi Jinping’s Party rectification campaign, former vice chairman of the Central Military Commission Xu Caihou, who died recently from bladder cancer after being removed from his post in disgrace. Given the opacity of politics and propaganda in China, it is impossible to know whether the series of revelations are part of an overall information strategy by the Xi Jinping regime. 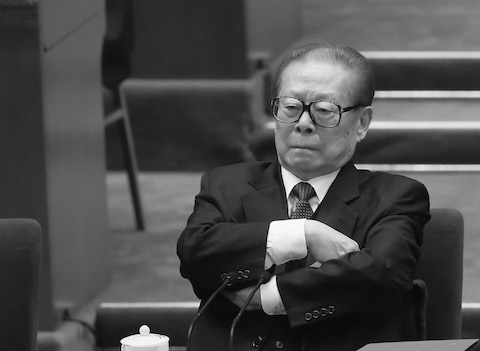 Xi’s administration might want to give overtures about its knowledge of the existence of organ harvesting from Falun Gong, a set of crimes that could be hung over the neck of the clique of officials associated with former Party leader Jiang Zemin, who initiated the persecution. It is also possible that all the statements were made independently of one another, with no broader propaganda goal in mind, and with no intention that additional meaning be attached to the words spoken. Is China Really Going to Stop Using Organs From Executed Prisoners? China’s top transplant official seems to have announced—once again—that the country will stop using the organs harvested from executed prisoners. The record needs to be set straight. The National Taiwan University Hospital made its views on organ transplants from China clear with a notice in its outpatient clinic. Medical experts have expressed skepticism over the Chinese regime’s pledge to end harvesting of organs from executed criminals.